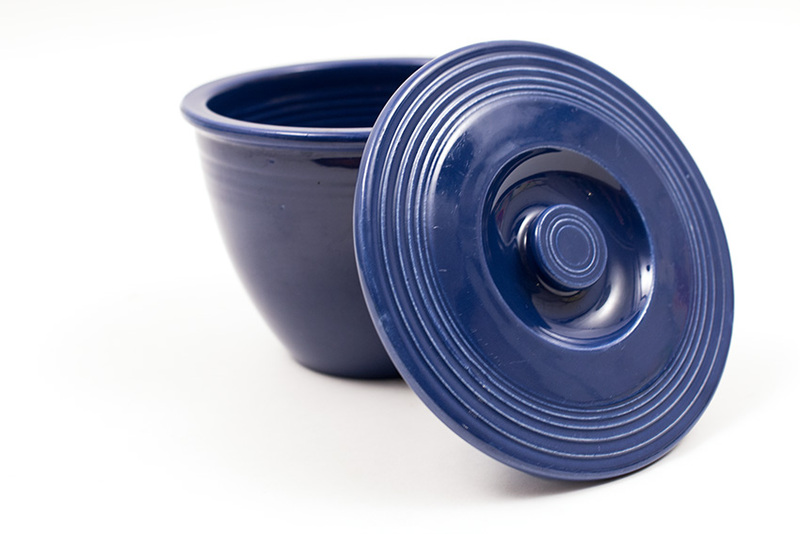 Circa August 1936-January 1937: Fiesta mixing bowl lids were the first piece cut from production. 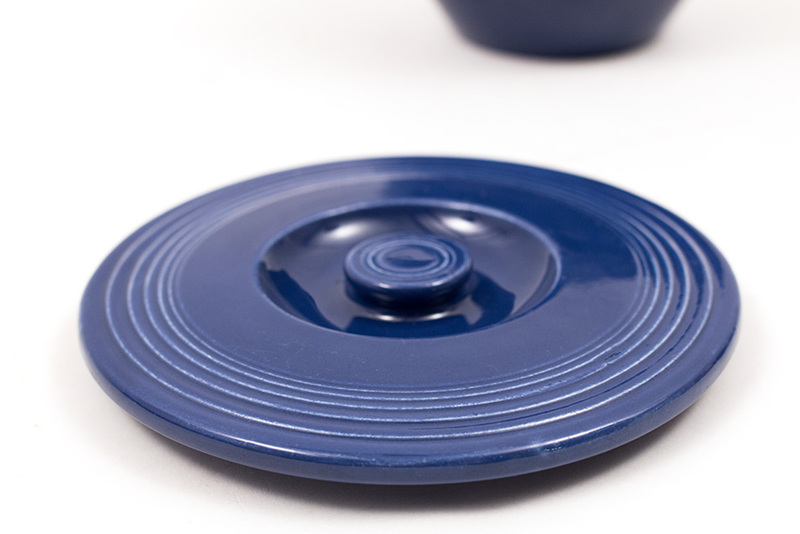 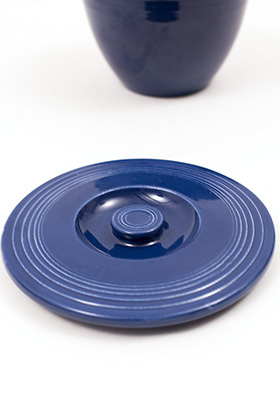 Within six months of production, before turquoise glaze was even devloped they were discontinued— cut before the 12" divided plate or the covered onion soup bowl. Owning any is a rare treat and I know barely a few collectors who have completed the whole set of twenty! 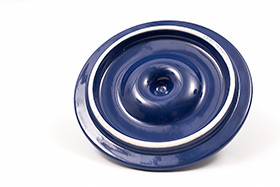 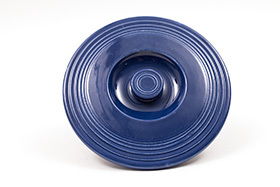 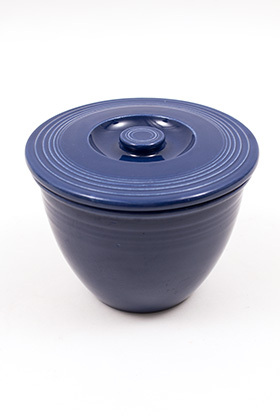 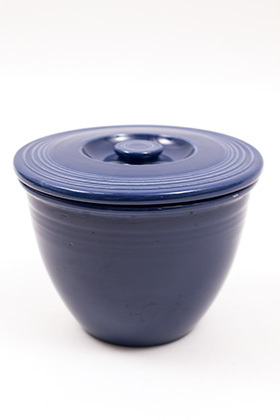 This version in original Cobalt Blue glaze for the #1 sized bowl is in excellent condition without damage, use, touchup or repair, please note there are the gentlest of small scratches on the top surface that show at an exact angle, but this is a far superior example than most versions, without any glaze issues to the rich cobalt blue glaze. 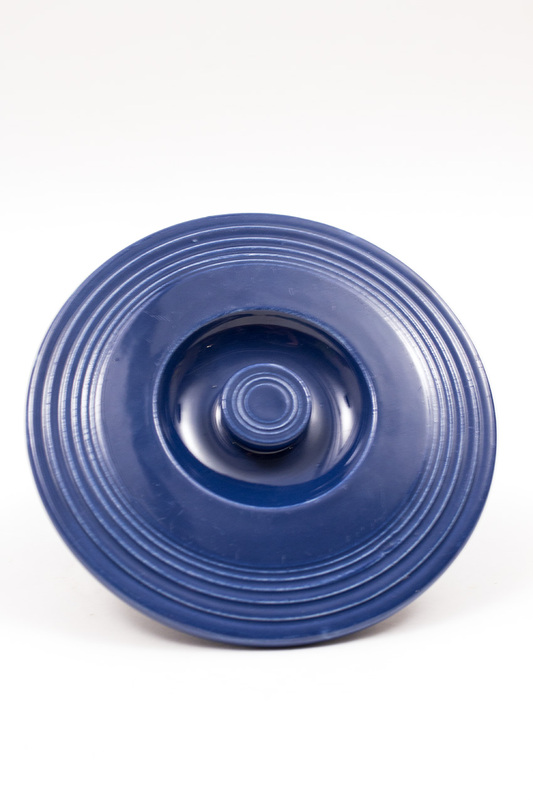 Measures 4 15/16" across. Produced for a scant six months, the mixing bowl lid is highly coveted and this example in original coablt will be a delight to add to your collection.